Asus R2H owners will have soon an Extended Battery of 10000 mAh according to Unifirm. 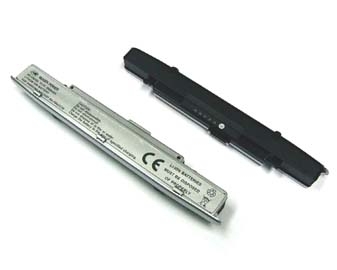 This battery will have the same shape and weight than the 6300 mAh extended battery sold by Asus. I like picture. I like High Resolution pictures. Probably I'm getting old because those low resolution videos made for streaming do not attract me that much like a very good set of High Resolution Pictures. Like these posted in this Asian Site about the P1610. The Fujitsu P1610 is currently sold in USA by Alltp. The guys from todoUMPC still working in different options of a universal mounting system for UMPCs. This one looks a lot better than the first one they are selling already. They say that they are going to paint in black the aluminum piece at the bottom, the only part that does not look to good yet. I ran into a situation where I needed access to my Program Files folder located in my first partition while running Vista in my eo v7110's second partition and I found that I did not have access to that folder even when I was logged as Administrator. Well, I found a very good solution to this issue in Tim's Sneath blog. This guy has published a few other tips for Windows Vista that are just "must read" if you are planning to have Vista installed in your UMPC as soon as it's released. Yesterday I said that via does not support DirectX9. Ok, I'm wrong, it supports it... but it can not handle it. Sorry VIA, I did it again! TabletPC2.com just posted the 2006 List for Santa! Of course, this year the UMPCs were included in that list! If you think so, check this trick that I have posted at Ultranauts.com. Our friend from the far Australia, Hugo Ortega, has posted a technical comparison between Samsung Q1 and Samsung Q1b. The Samsung Q1b use a VIA processor that is in my opinion the best way to go if you are looking for better battery live. Samsung did a good work configuring this processor in its UMPC so do not expect to see there all the problems present in Amtek T700 (heat and a battery life that does not match what the VIA processor is capable of). Be aware that VIA processor is slower than Intel Celeron and VIA's graphic chip does not support DirectX 9 but that's the price you pay for more battery life. Well, I hate to say this but the next time I'll buy a notebook, tablet or UMPC, Amtek is not going to be in my list. 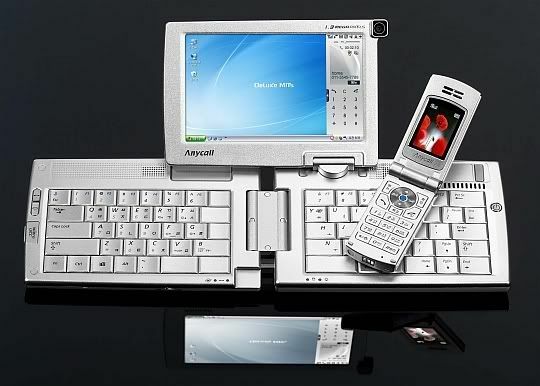 As an IT Manager, the next time I will recommend a Notebook, TabletPC or UMPC, for sure, Amtek will not be in my list. Even if it's the last Coca Cola in a middle of a desert. 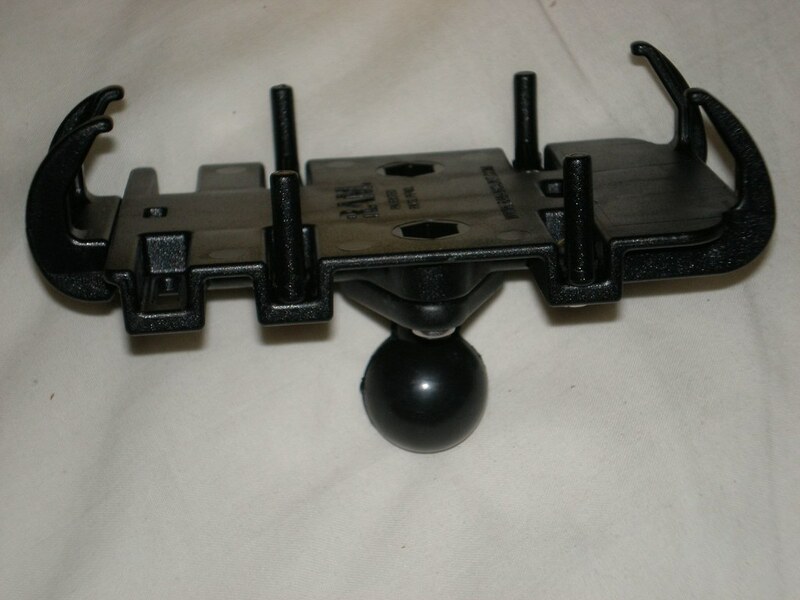 We continue to receive delays and excuses from our manufacturing partner on this accessory - and at this time we have no further information on this accessory (eo v7110 Docking Cradle). Our executive management is flying to Asia next week to try and resolve this issue ASAP. We apologize for this continued delay. Thanks Jeff for keep us informed. 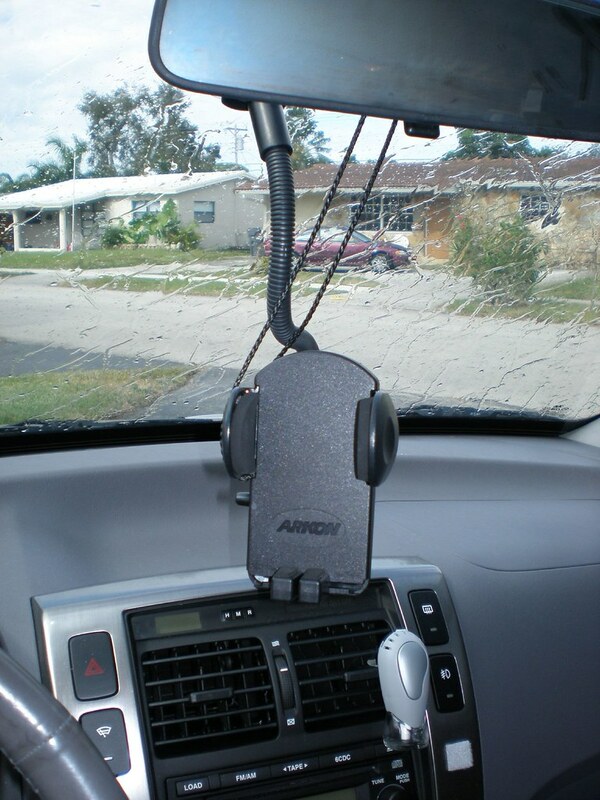 Let me start this part showing what I was using until now in my car with my Pocket PC, a mounting system made by ARKON. In the above picture you can see what I call the safety cord, a cord that attach the mounting system to the front side mirror. 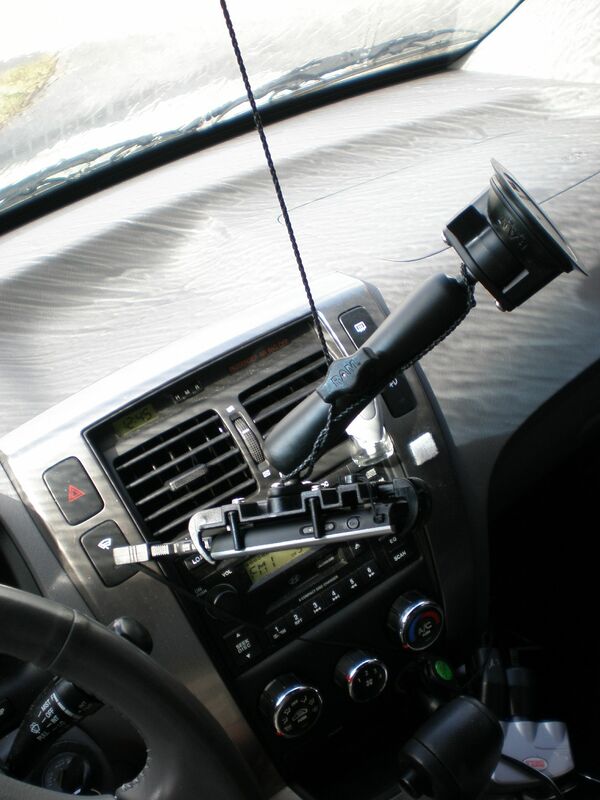 The idea is that if the suction coup fails this cord will stop your costly device from falling down and damage itself. This safety cord has safe my Pocket PC few times so when I started the installation of the new RAM-Mount System this was the first thing I put it in the new one. 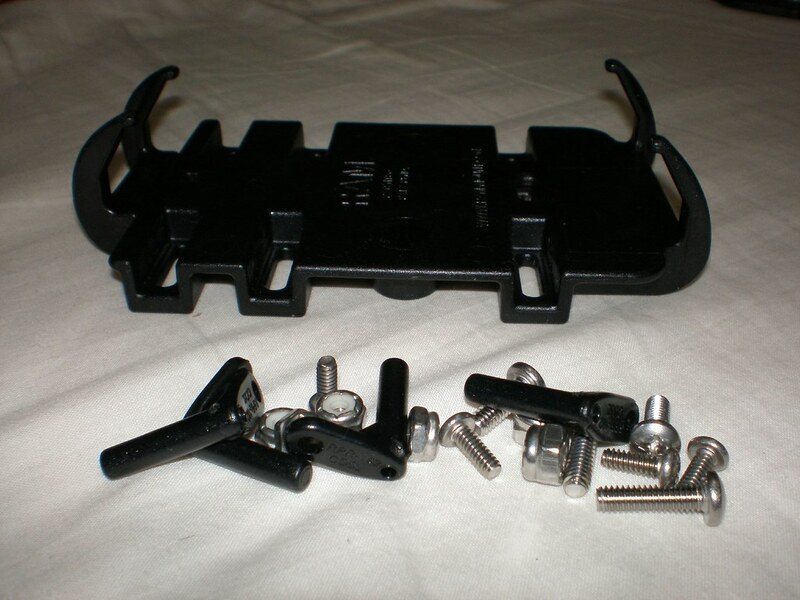 The next pictures show the mounting system ready to be used. I adjusted the position in the windshield to avoid the glare from the shiny Florida Sun, that is the main reason why I bought a long Arm. 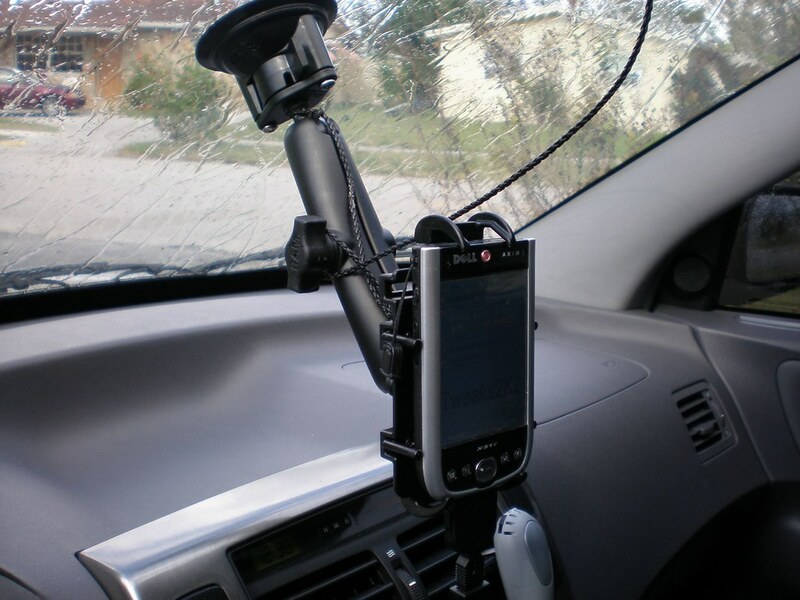 With the short arm the device is too close to the windshield and the glare makes impossible to read what's in the screen. 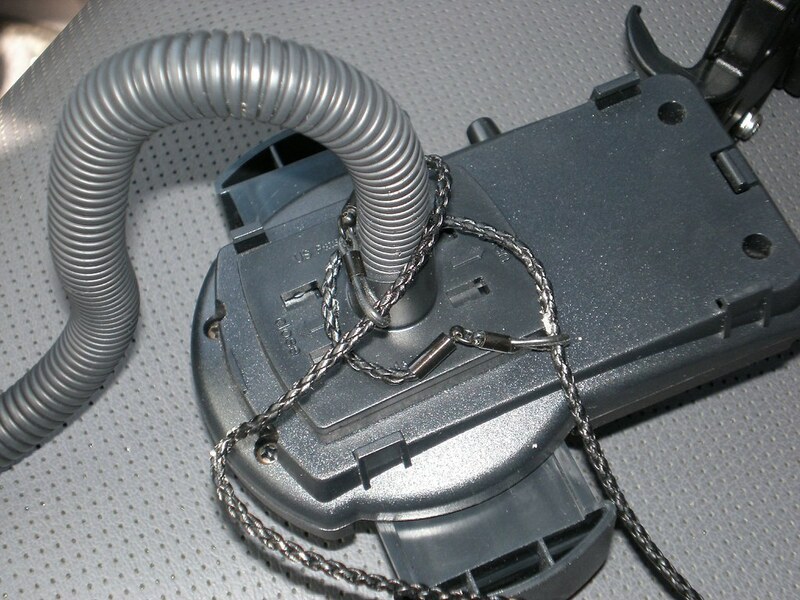 The following picture shows how the safety cord would have worked if the suction coup failed. In the next part of this series of articles about the RAM-Mount, I'm planning to show how this System looks when it's being used with a UMPC. You can check the whole set of pictures that I took for this article here. According to my sources at todoUMPC, Samsung is releasing the Q1 in Spain in the next few days. The number of units is extremely small, 35 for the whole Spain. todoUMPC is receiving between 3 or 4 tomorrow. Picture of the day, sent by Jeff from France! Many consider Otto the father of the Origami Devices but back in 2004 Paul Allen was thinking about real mobility too. When Paul Allen co-founded Microsoft® in 1976, nobody could have foreseen the extent to which his vision and efforts would impact the world of technology. With his roots in computer software development, Paul started Vulcan Inc. to create and advance initiatives that continue to change and improve the way people live, learn, work and experience the world. When it comes to doing business, Paul believes that people want -- and deserve -- true portability and connectivity without sacrificing the performance, functionality and accessibility they need to do it well. He thinks that mobile professionals simply have to carry too many devices to do their job. 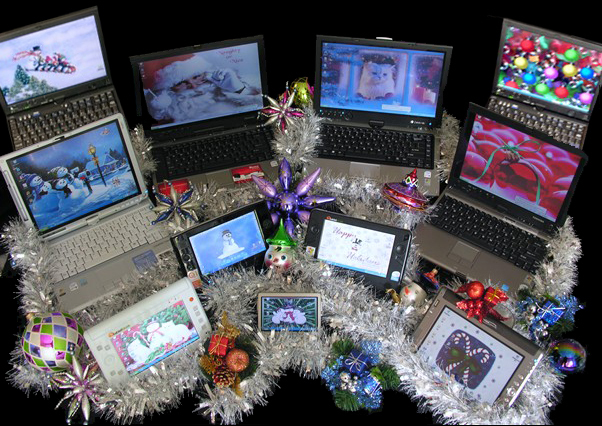 PCs don't work well "on the go," PDAs compromise power and productivity. And, connectivity is a problem with both. Tired of waiting for the solution, Paul set out to make it happen himself. He hand-picked a dream team of PC industry design and engineering luminaries, whom he pulled together in a top-secret skunkworks at his Seattle-based company, Vulcan. His directions were simple: "Scour the globe and find the best technologies available to make a computer as powerful and easy to use as a desktop model, but small enough to fit in a pocket." If the technology didn't exist, they were to invent it themselves. The Vulcan miniPC project was born. Paul's team previewed the Vulcan miniPC (now called FlipStart™) at DEMO 2004, the premiere forum for new product innovation. 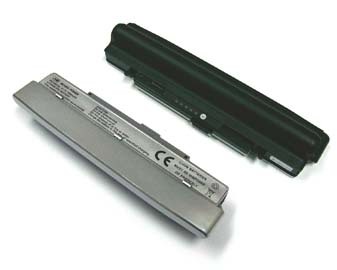 FlipStart combines the performance and functionality of the Microsoft Windows® XP operating system with always-on connectivity that fits in the palm of your hand. This combination re-defines mobile computing for users who want access to business-critical software, email, and the Web while on the go. 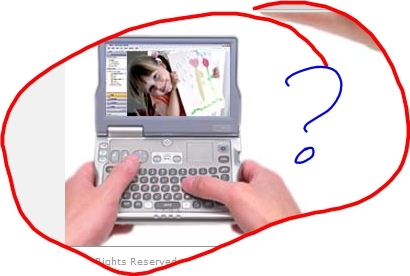 The main problem is that this device never have been released and it has been is the drawing boards since 2004. Yeah, that's the news posted at Uber Tablet. Asus came late to this party but it seems to me that they want to conquest the whole world with the Asus R2H. I wonder if the stock in Australia is the same that I have seen in other countries - very poor. Today I received the second box with the rest of the parts that I need for my project of having a flexible Mounting System in my car. I received the Suction Cup, an arm, and two balls. Using these parts and those I received yesterday, I could put together a universal mounting system that can be used with my Pocket PC and soon with my UMPC. 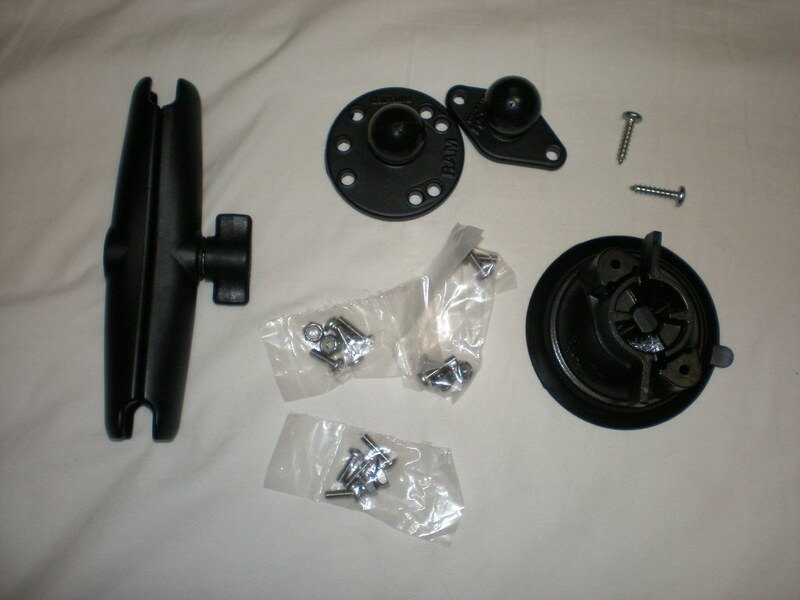 You can find more pictures showing the whole process of assembling this system here. Now all I need is the UMPC holder, something that is about to be released by at least two companies that I know of. By the way, I did some tests to be sure that the suction Cup will work as it's supposed considering the UMPC weight. If you are a writer and love these new babies called by some origamis here is your big chance: Ultranauts is looking for a writer! I got into the conclusion that the best method to use my UMPC in my car is going to be using parts made by RAM-Mount. 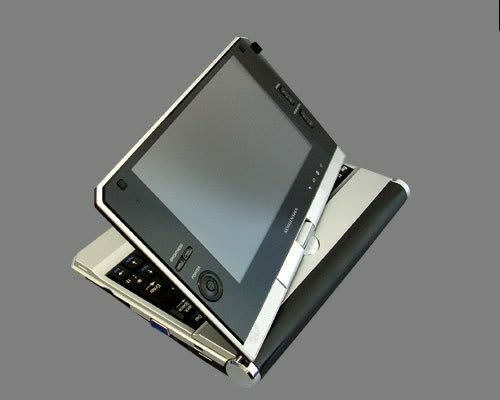 This system is very flexible and will allow me to switch from a PDA cradle to a UMPC cradle very easily. I started by getting some of the pieces needed in my project and the first one to arrive was the Universal PDA Holder. I'm very impressed by the quality of this holder and I hope that the quality of the holder for UMPC that they are about to release is the same. You can check more pictures here. Do you know of any UMPC owner frustrated here? That's what I'm asking at Ultranauts. Yesterday something very interesting happened: Woot put on sale 193 refurbished Samsung Q1 for around $750, a Samsung Q1, refurbished and with only 3 month of warranty. And guess what happened. They sold one unit every 4 minutes. They sold the 193 units in less than 17 hours. 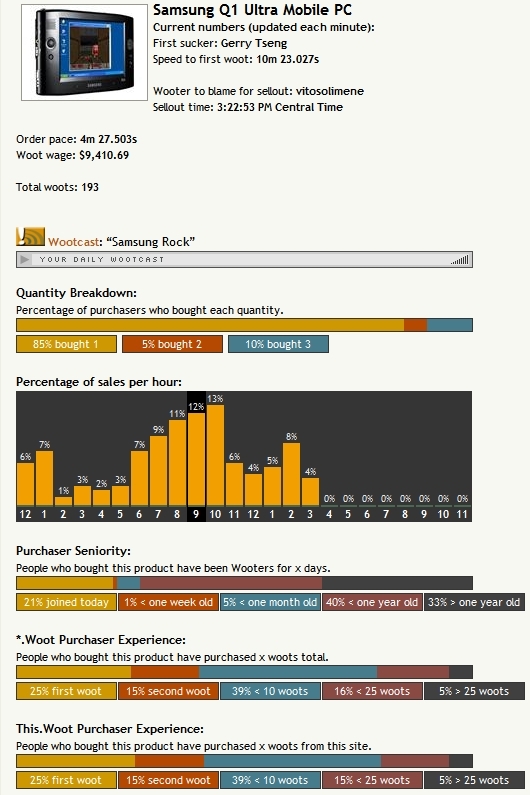 Woot made around 49 dollars in each unit sold for a total of 9410 dollars in 17 hours. 10% of buyers bought 3 units and 5% bought 2 units! And all this for a refurbished Q1 with only 3 month warranty. Could you imagine what would have happened if they sell 193 brand new Q1 for the same price of 750 dollars? How long do you think that would have lasted? Samsung, TabletKiosk, PlaceBlade, Asus, learn from these numbers, the market is there just waiting for the right price to come. 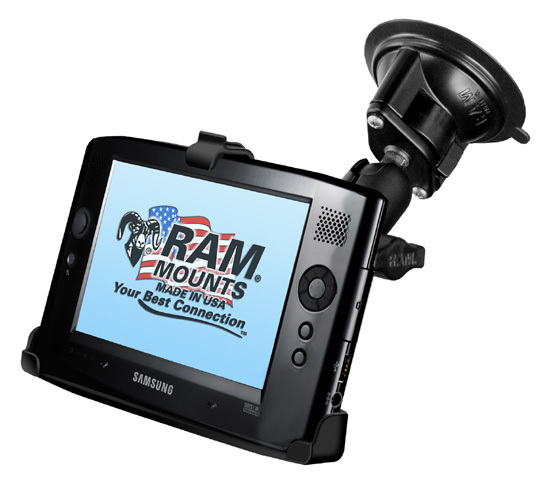 I just found that RAM Mounts has released a Mount specially designed for the Q1! And the cradle is just $12.50! I would like better a universal option but 12.50 for just the cradle is a really good price considering that if you buy a different UMPC all you have to do is change the cradle. If you are not buying a UMPC and what you are looking for is a Tablet PC then check this review of the ThinkPad x60, a new Tablet from Lenovo. Our Friend Jeff - Viva France! - just sent me this link of Akori in France. As you can see from the above picture they planned to release the AK7 (warning, do not confuse with AK47, that's a complete different "device") in October of this year. 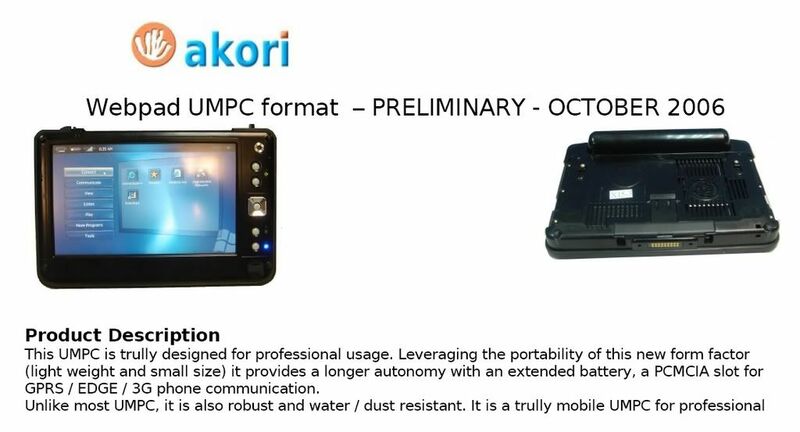 The AK7 is going to be the first UMPC with a PCMCIA slot. 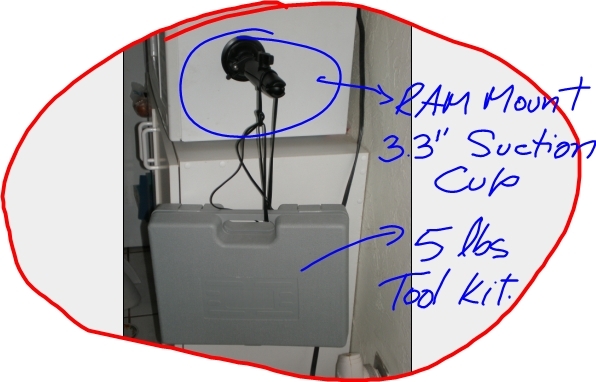 You can read more information about this device in this PDF File. Basically what my friend at Unifirm is trying to tell me is that they just released the Samsung Q1 batteries and the eo V7110 Battery to resellers. So if you are in North America you better keep an eye open checking Lion Battery, Unifirm's reseller in this area. If you want to wait for a review, then keep checking this site because I'm getting shortly probably both batteries - Samsung's and eo's. If you have not seen enough pictures of the Asus R2H check this link. 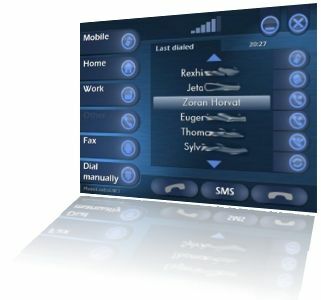 PhoneControl .NET is a program that allows you to control your phone from your UMPC. PhoneControl.NET is able to control the Broadcom driver in such way, that your PC can act as an Handsfree facility. It seems to me that this is another good application to have it your car. John Hill from Alltp.com is blogging and I found at his blog this wonderful tip that probably could be used in Asus R2H UMPC. Apparently Motion's Tablet PC with FingerPrint reader has an utility that allows you to "enroll" all your fingers. What John advices is to enroll the same finder at least 8 times and that will increase the possibility of your finger being recognized to 98%. It seems to me a very smart tip. 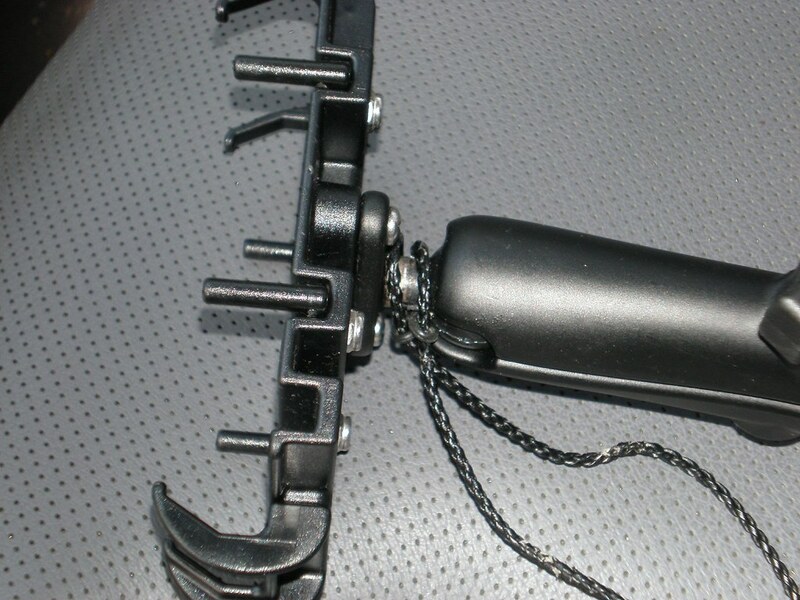 I just got an email from Unifirm with some pictures of their latest products. 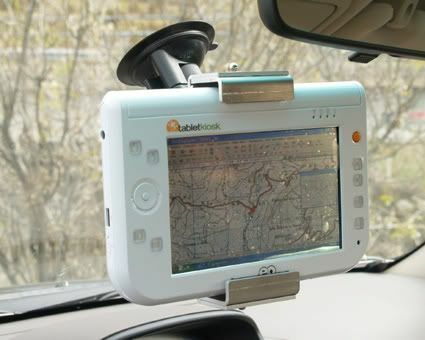 I just received a some pictures of the TabletKiosk eo i7209 from TodoUMPC.com, one of the distributors of TabletKiosk in Europe. IMHO, the i7210 is one of the best UMPC released in this first generation. I just uploaded all pictures here. Where are the HID Drivers for Q1? This is the question I asked Samsung at Ultranauts.com. Without the HID Drivers, the Samsung Q1 is just not more than a unfinished product released by Samsung. Without the HID Drivers, the Q1 is not recognized like a device using a digitizer but just a mouse and as we all know, the Q1 does not have a mouse! If you want mobility probably you will find this review very useful. 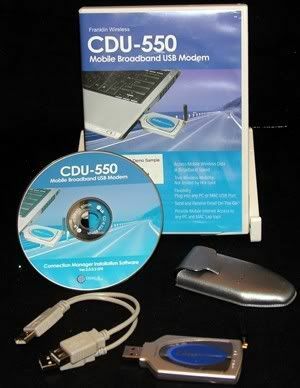 Linda A. Epstein has tested the Franklin Wireless USB Modem EVDO and she found it to be "An excellent solution for anyone using Tablet PCs or Ultra Mobile Pcs that do not have a PC slot and want the ability to have an Internet Connection Anywhere, Anytime. " If you thought for just one second that the SA1F00 was "cool" you were wrong. If you thought that Sony's UX series was the best design you have ever seen, YOU ARE WRONG! Windows XP, a 30GB hard disk, 256MB of RAM, a 5” display, a 1GHz CPU, WiMAX, CDMA EV-DO, and a 1.3Mpix camera. It measures 143x94x29mm and weights 580g. The SPH-P9000 will be launched in Korea first half of 2007. Thanks Jeff (from France) fro this tip! Akihabara News has discovered what seems to be new UMPC coming soon from Japan. As you can see from the above Picture this UMPC could become the first convertible UMPC to hit the market. Available in two configurations, the 2-pound devices will run Windows XP Home Edition on an AMD Geode LX800 processor and be equipped with WLAN, Bluetooth, Compact Flash card slot, some kind of additional 3-in-1 media card slot, and what I think is a 7-inch widescreen display. The 40GB SAF100A and 80GB SAF100B (termed the "office model") can be ordered with either 512MB or 1GB of memory; the 512MB models will sell for just $760 and $930, respectively, when they start shipping in December. The Compact Flash slot is one of the best features that the Samsung Q1 has. Yes, the CF cards are old and slow but I prefer to have this slot than a SD Card one. If you want to know why just check this article. 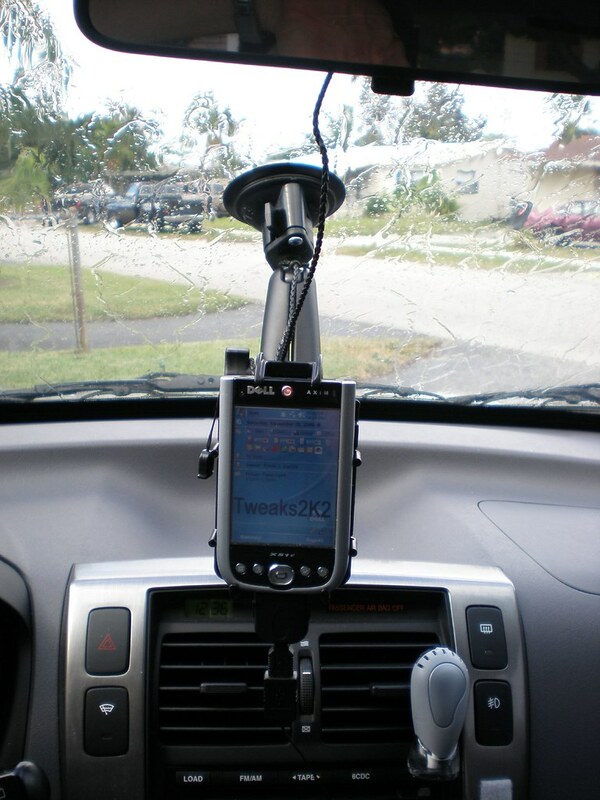 I just received two pictures of an Universal Car Mounting that I mentioned the other day but this time being used with a real UMPC - TabletKiosk eo v7110. 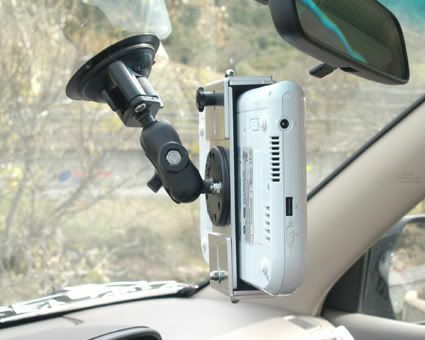 This car mounting solution is being sold by TodoUMPC.com. You have to buy the UMPC Holder (56.04 Euros), to call it in some way, and the arm (from 56 to 103 Euros depending of the length). According to TodoUMPC, they have talked to manufacturer to see if they can paint the aluminum UMPC holder to match the color of the arm and that all parts of holder touching the UMPC are protected to avoid any scratches to UMPC. They ship worldwide. 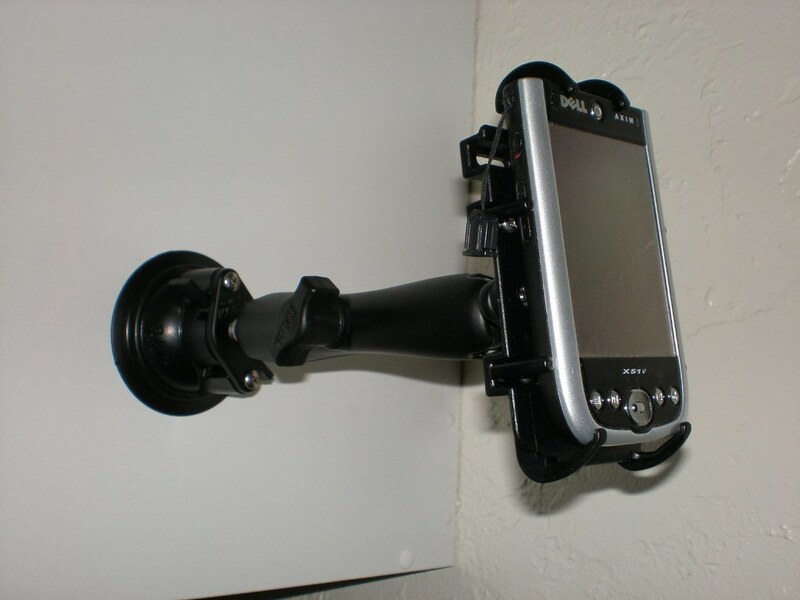 I read long time ago a review about this suction cup and I think that it can hold up to 100 pounds, but I'm not sure about this number because like I said, I read it long time ago. I just posted about this at Ultranauts, TaskSwitcher is one of those little programs that once you use it one time you can't live without it. 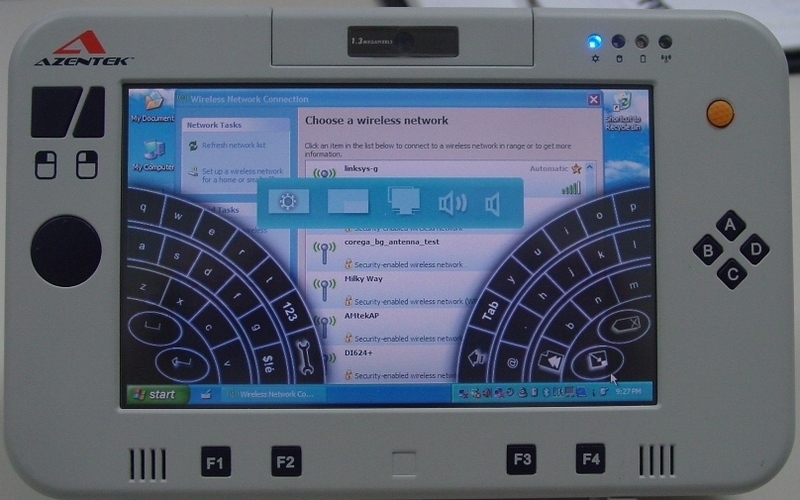 TaskSwitcher is a small application specifically written for UMPC touchscreen computers that gives you instant access to various useful functions that are otherwise a little more tricky on a computer without a keyboard. TaskSwitch is a freeware and can be downloaded here. 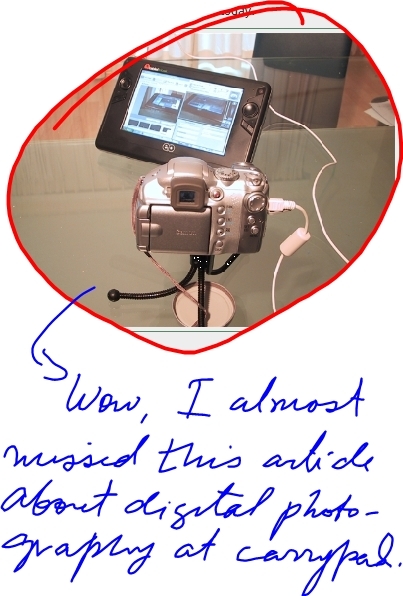 One of my readers (Jeff from France) sent me this link of a new device called UREN. 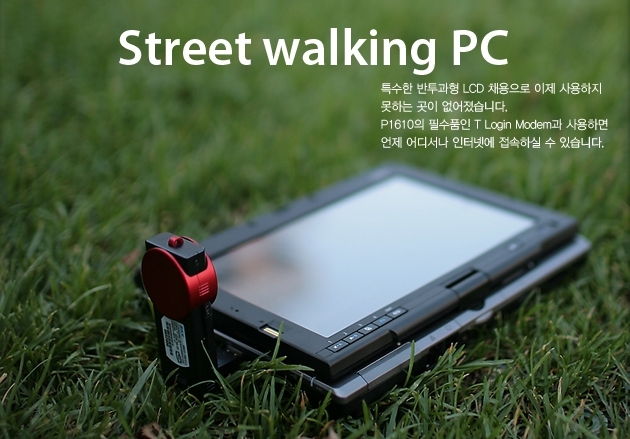 I do not understand Korean but it seems to me that it's a device running XP, with GPS integrated. 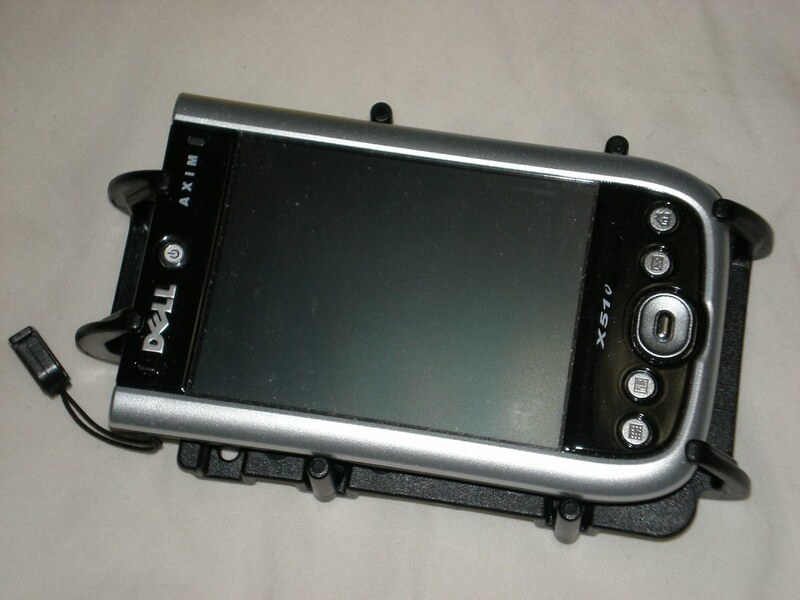 The display is a 7" and it works at 800x480. I like the design of this device because it use the most it's possible the space in the front of the device for the display making it smaller. If you are thinking of buying the Sony VGN-UX50 and you are looking for a good review STOP! Don't look any more.